The Althea Kratz Hottel papers were donated to the University Archives by Christie and John Hastings in 2002 (accession number 2002:65). The Althea Kratz Hottel papers are organized into two series, Women’s Oral History Project and Miscellaneous, which are both arranged alphabetically. Dr. Althea Kratz Hottel was a noted champion of higher education and education for women. At the University of Pennsylvania she served as Directress of Women from 1936 to 1943, Dean of Women 1943 to 1959, Lecturer of Sociology 1936 to 1959, and was a Trustee from 1959 to 1969. She was born on October 16, 1907 in Lansdale, Pennsylvania to Clarence M. and Nettie H. Kratz. From the University of Pennsylvania she earned a B.S. in Education in 1929. As an undergraduate she was president of the Women’s Student Government Association and during her senior year she was voted by her classmates as most popular, hardest working, and best “all-around girl.” She subsequently earned an M.A. in Sociology in 1934 and a Ph.D. in Sociology in 1940, both from the University of Pennsylvania. In 1936 Hottel became Directress of Women and after the elimination of that position in 1943 she was named Dean of Women, becoming the university’s first female dean. When she retired as dean in 1959, the Althea K. Hottel Award was established to honor “intellectual competence, commitment to ideals and principals, and loyalty to the University of Pennsylvania” and was the first honors for senior women to be given on Ivy Day. Her association with the university did not end after retirement as she was then elected to the Board of Trustees, only the second women trustee in Penn’s history. Hottel’s commitment to education extended well beyond the University of Pennsylvania. 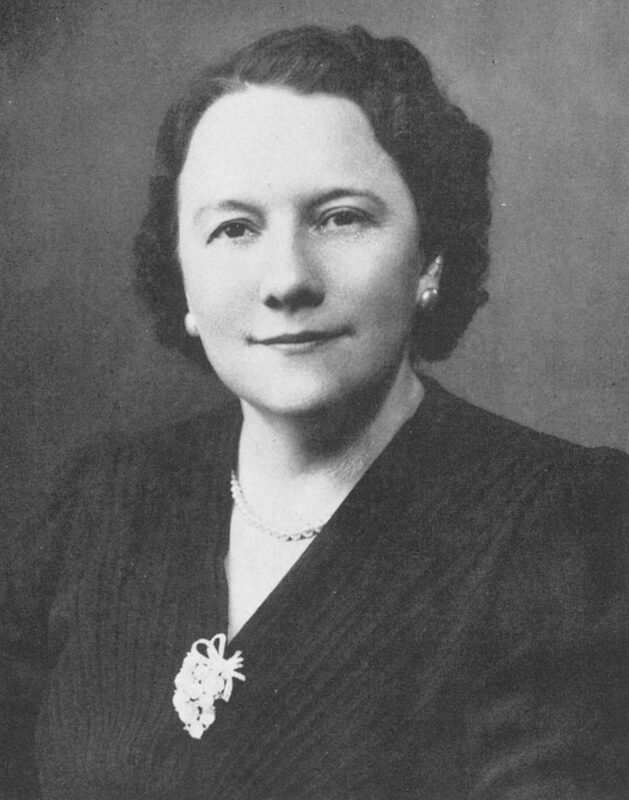 She served as President of the American Association of University Women from 1947 to 1951 (during which time she ended the policy of racial discrimination practiced by some of the organization’s chapters by revising the national by-laws to so that no woman could be refused admission based on race, religion, or political factors); director of the American Council on Education’s Commission on the Education of Women from 1953 to 1955; the United States’ representative on the United Nations’ Social Commission of the Economic and Social Council from 1955 to 1961; Chair of the Standard Committee of the International Federation of University Women from 1956 to 1962. As Chair of the Committee on Ways and Means for Establishing a Two-Year Community College in Philadelphia from 1961 to 1963 and Chair of the Philadelphia Commission on Higher Education from 1963 to 1965, she was instrumental in the establishment of the Community College of Philadelphia and was one of its first trustees. Hottel was the recipient of many awards, including: the Gimbel Award in 1947 (bestowed upon a woman in recognition of her outstanding service to humanity); Distinguished Daughter of Pennsylvania in 1949, and the University of Pennsylvania Alumni Award of Merit in 1950. She was also the recipient of several honorary degrees, including the Doctor of Laws from Cedar Crest College, Juniata College, Elizabethtown College, Alabama College for Women, and Miami University (Ohio); Doctor of Humanities from Keuka College and Queen’s College; and Doctor of Letters from Beaver College and Douglass College of Rutgers University. Dr. Althea Kratz Hottel died in Bryn Mawr, Pennsylvania on January 6, 2000, aged 92. The Althea Kratz Hottel papers consist of material stemming from Hottel’s involvement with the Women’s Oral History Project, a project initiated in 1982 to document the experiences of prominent female University of Pennsylvania students, administrators, faculty through recorded interviews. The material consists of correspondence, minutes, interveiwer guidelines, and a handful of interviews on audio cassette tape. There is also miscellaenoues material not related to the Oral History project which include awards and certificates, correspondence, and photographs.